Temporarily relieves these symptoms due to hay fever or other upper respiratory allergies: runny nose; sneezing; itchy, watery eyes; itchy nose or throat. Temporarily relieves these symptoms of the common cold: runny nose; sneezing. 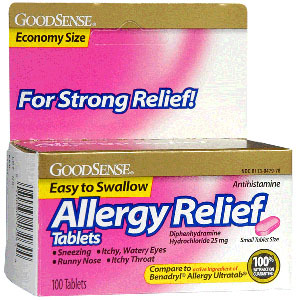 Relieves allergy symptoms: sneezing, itchy nose or throat, runny nose, itchy, watery eyes for indoor and outdoor allergies.